← Do you understand car health? 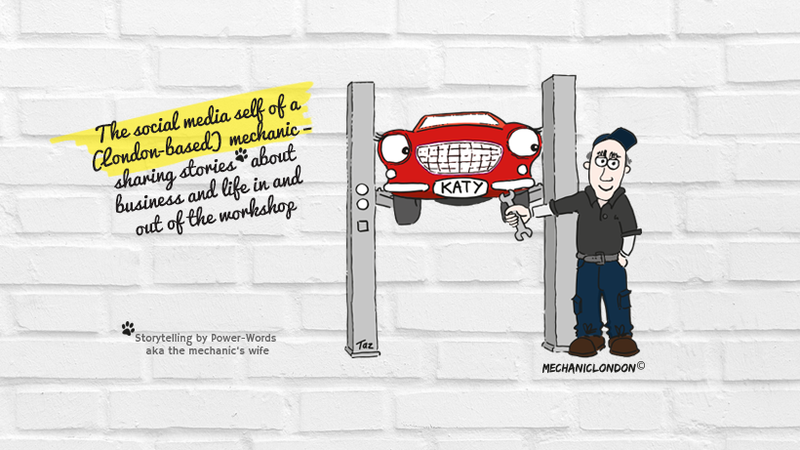 When I (= the Mechanic London’s wife) saw the above headline pop up on our @mechaniclondon’s Twitter timeline, it caught my attention immediately … though I suspect not quite for the reasons the organisers were hoping for! Yes, it is a widely known fact – and nothing to be ashamed for by the way – that women are the less technically versed and probably interested folk when it comes to car technology and mechanics. Car maintenance concerns every car owner – female AND male! Nevertheless, when the above (female targeted) headline caught my eye, I had a big question mark coming up as to why car maintenance would require a particular focus on women drivers?? I got my answer straight away after clicking through to the article as the sub-headline read “Free event to show the basics such as dealing with a puncture and what to do in the event of a breakdown”. Now, I really applaud (and thank) the organisers for providing such valuable training, and even for free, however feel that the course title is misleading and some clarification is needed. The dealing with a puncture or breakdown is an emergency procedure NOT routine or maintenance task. If anything a breakdown could merely reflect a poor maintenance routine. Seeing (on https://en.wikipedia.org/wiki/Auto_maintenance) that some of the most common car maintenance tasks are as simple as washing your car, replacing wipers, checking lights and inspecting tyres for pressure and wear, it becomes immediately clear why car maintenance concerns every driver – female AND male! Yes, there are some more technical and greasy maintenance jobs to carry out such as checking and flushing fluids, filters and spark plugs, however this is what your trusted mechanic is for. Even if you don’t want to get your hands dirty washing your car, all you need to do is pay someone else to do it for you. It is that simple. It’s just like preventing your house from falling apart. Instead of going to a course to learn about how to deal with blocked drains, a boiler breakdown or damp walls, you can keep it clean routinely and get your boiler serviced by a trained technician regularly. There is no special knowledge required, only care and an interest in looking after your possessions. Would love to hear more about people’s car maintenance habits and regimes! Posted on 19/05/2016 by mechaniclondon	• This entry was tagged Brent Autos (est.1989), car maintenance, car servicing, garage services, mechanic training. Bookmark the permalink.